As part of our new DJ line-up on dirtyradio, we would like to welcome Italian DJ’s and producer’s – Pol & Lynch. 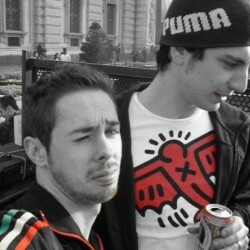 Pol&Lynch is an Italian duo made up of Paolo Sgarlata & Anthony Lynch, two young djs and producers. They have been on the electronic music since 2006, and started playing back to back in their city’s clubs. Their releases and dj sets are a mix of tech & deep house grooves. In 2009 Pol&Lynch published some EP’s on labels like Frequenza Records and FHD Records.